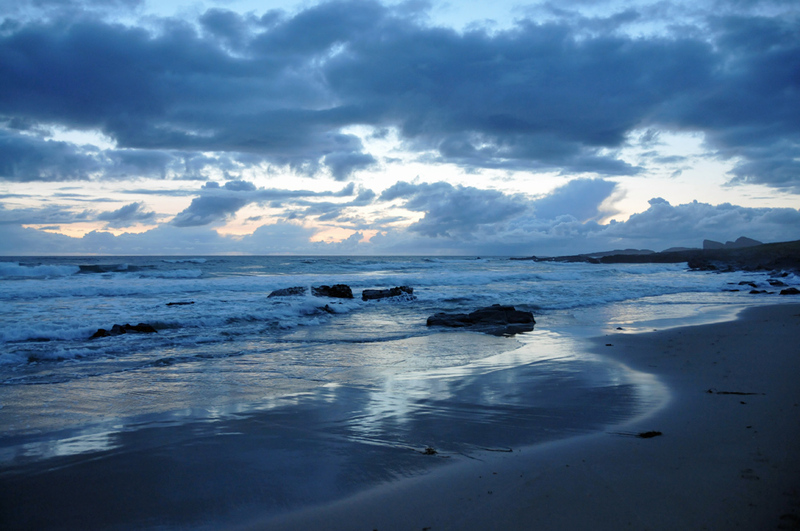 An evening view of Saligo Bay on the west coast of Islay. Dramatic clouds rushing past in the fading light while the waves are breaking on the beach. This entry was posted in Beaches, Cloudy Weather, Landscape, Repost, Sunset and tagged Islay, Opera House Rocks / Sleeping Giant, Rhinns of Islay, Saligo Bay by Armin Grewe. Bookmark the permalink.